Unfortunately, some diamond consumers become diamond sellers. This can be a difficult situation for many reasons. Not only can this mean you're going through a hard time, but you may find that you've spent too much money and your diamond isn't worth nearly as much in the secondary aftermarket. Diamond buyers can't match the retail price for which the consumer had paid since retailers charge more than double what a diamond is worth in order to stay in business. Retailers have fixed costs like rent, labor, and inventory so they must double their price to stay in business. Some retailers even increase the price 3 or 4 times their price in order to make an even bigger profit. 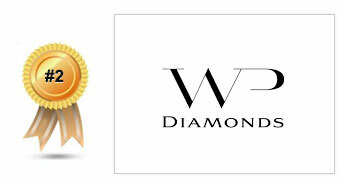 What does this mean for the consumer who finds themselves in the situation of trying to sell a diamond? Most of the time they have to rely on those same retailers for advice or on other entities in the diamond industry to tell them what their diamond is worth in the secondary market. Just like selling a car, to get the most money out of your diamond you should try to sell to a private party (aka a person). This isn't for everyone because you may have to place an ad on Craigslist, deal with people directly, and barter. Therefore, the next best thing is to sell to a reputable business that does this for a living. 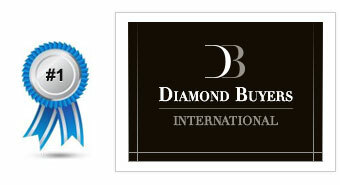 From time to time, we review and update diamond buyers to make sure they are keeping up with their reputations. 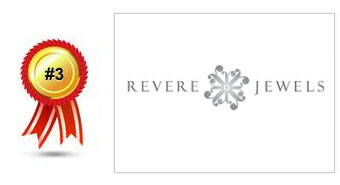 And currently, we removed Cash for Diamond USA and added Revere Jewels to our top three diamond buyers. TIP: DO NOT SELL TO A PAWN SHOP! Pawn shops give you the worst price for your diamond. Selling diamonds online has become more and more popular in recent years. It's convenient, saves time, increases your payout, and prevents you from sitting in traffic or dealing with untrustworthy salesmen. Online selling allows you to complete the process easily from the comfort of your own home. While selling your diamond is easy, it doesn't mean that you should just accept the first offer you get. Getting the best price for your diamond is also very important. Bringing a diamond to a jewelry or cash for jewelry shop can be dangerous, plus you may be low-balled or taken advantage of by an unscrupulous jeweler. Online shops operate higher volumes on lower margins, and engaging in poor buying practices would quickly destroy their reputation online.